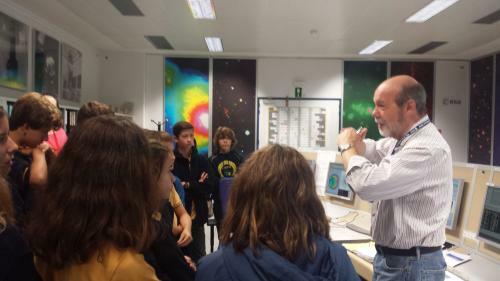 On the 18th of October, 90 students in their second year of ESO, came to ESAC to be scientists for a day, as part of the Space-Science Experiences offered by the CESAR Team. For this, the group of 90 students arrived at ESAC in two sessions, one group at 9:30 AM and the second one at 11:30 AM. The scientific case selected by the school to be executed at the ESA facilities was the one related to the Coronal Mass Ejections. In order to be ready to come, a set of videos was made available by the CESAR Team to the school, which were watched in the classrooms, before to come. The topics were an introduction to the European Space Agency and their various astronomical and planetary missions together with the astronauts missions. 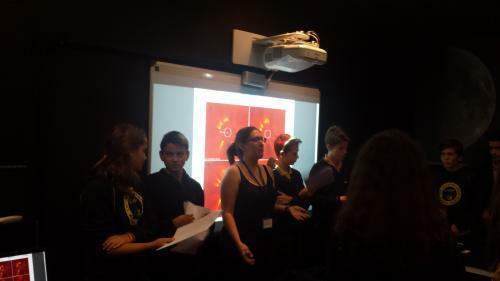 Once at ESAC, each of the groups were divided into two, being able to work in small teams as scientists, at the time that other students had the chance to visit the XMM-Newton operations control room. Within the XMM-Newton control room, the students had the privilege to be told by D. Ramón Muñoz, the XMM Operations Engineer Chief, about how spacecrafts work and how we do comunicate with them. 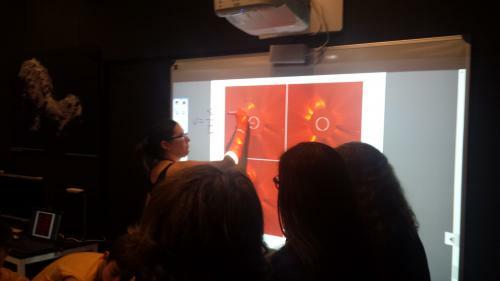 The teams that worked as scientists were able to follow the Scientific method and compare their hypothesis on the time and velocity of the solar mass eyections with their final calculations, using images from the SOHO mission. Once each of the groups finished their activities, they swappes their roles. This allowed to all the kids to better understand how scientist and engineers work for the European Space Agency.